Robin Williams: Reality... what a concept. | Warped Factor - Words in the Key of Geek. Robin Williams: Reality... what a concept. On what would've been his 64th birthday, Stacy Embry pays tribute to the deeply missed Robin Williams. 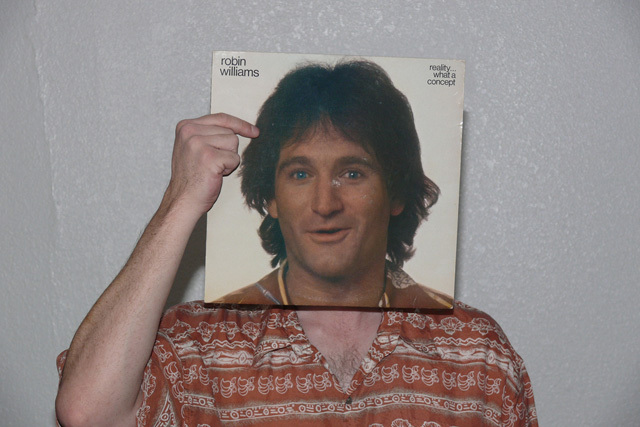 I met Robin Williams when he was Mork from Ork. Or at least I truly felt like I did. He was fresh, spontaneous and alive, and according to people I know who performed improvisation theatre with him in LA, he was exactly that completely alive when onstage. And then, he'd immediately become inner-closed, an introvert when off stage. The balance of his life was quiet moments of love, loyalty, support and charity. Then, he was gone. I was standing in the parking lot of a restaurant when I was told. People speak of John F. Kennedy, and I remember the Challenger disaster and 9/11, but this is the closest I could come to what my Mother felt in November 1963 when she heard the vital young President was dead. I still feel the shock of that parking lot and my fear that I'd lose the dinner I'd just consumed. But, with that said, Robin Williams was entitled to his private life. He left us with a myriad of screen treasures and that's what we can share instead of grief. I'm struck with the sound bytes... the catch phrases that comfort our hearts. Images, hopes, lives that were encapsulated by Williams. Robin got in our brains and more often than not, chose to tickle them. He comforted and even scared them, but he never missed a moment of connecting to both our minds and hearts through his characters. Mork was amazing. 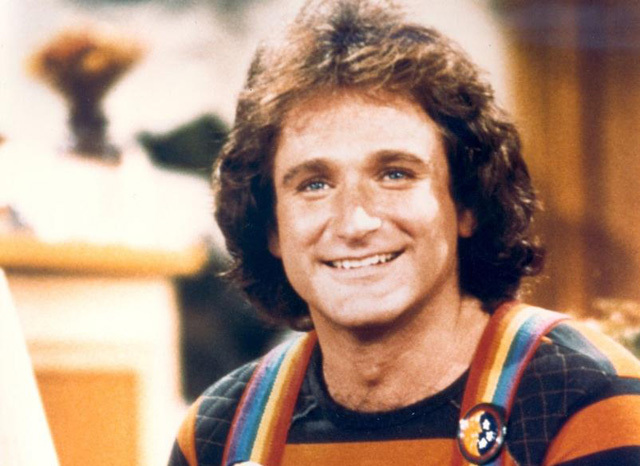 He exploded on the screen from Happy Days and through his own series, Mork & Mindy. Pam Dawber was the perfect foil, so normal in the face of Williams' extreme character that she was our surrogate, along for the ride, and what a ride it was. TV adventures were never this exciting, so we knew right then what he was. 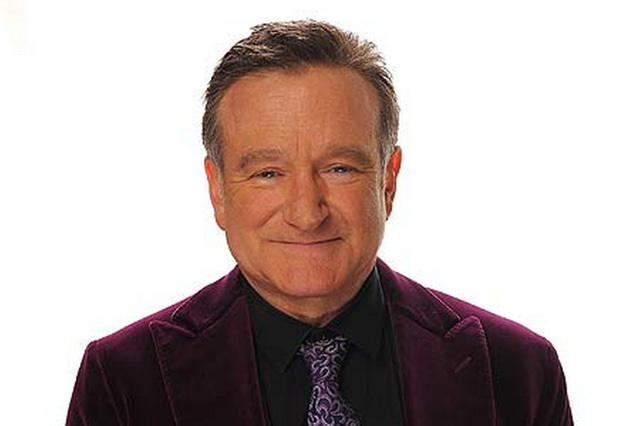 He, Robin Williams, was a force of nature and an unstoppable one at that. His hit series, his comedy album "Reality... what a concept" and the feature films sold us all on an image of Williams. The World According to Garp, Mrs. Doubtfire, Punch, Aladdin, Good Will Hunting (his only Academy Award), Jumanji, Night at the Museum and all the others showed an always passionate, often broken character played to perfection by Robin Williams. He was real. He was everyone of those roles and we left the theatre(s) better for having shared his talent. It was 1989's Dead Poet's Society that best introduced a withdrawn, pensive man who society did not understand. Featuring Williams at his frantic best, up until he is dismissed. The denouement of the desk standing is as painful as it should be. When I first saw it, but even more so today, I want to scream "Oh captain, my captain." Dead Poets Society is still rock solid, a testament to the story, actors and ideal - yet ultimately the film rests on William's John Keating. Every performance thru to his last series, The Crazy Ones, rested on the back of Robin Williams. We showed up expecting brilliance and he always delivered it, but at what cost? How collectively heavy were we? 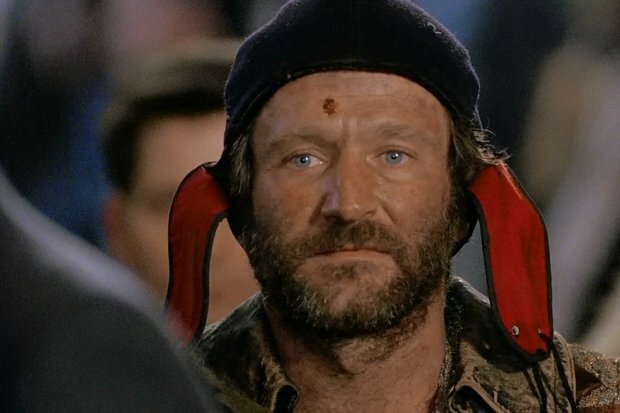 To me, it's 1991's The Fisher King that is the real Robin Williams. This was always my favorite film of his, and Perry, his role in The Fisher King, was supposedly the closest to Robin Williams himself, with many of his family/friends noting the similarity. I think of him in NYC's Central Park just swinging in the breeze, and I remember how a PTSD tortured mind was suddenly palpably understandable. Director and former Monty Python, Terry Gilliam, said this film was Williams' tour de force. Everyone was nominated for awards, Mercedes Ruehl even won hers, but as good as they all were, the movie also rested squarely on Robin. He was the Fisher King. He was broken, and Jeff Bridges had to save him. At the end when Perry asks the question, we see how he'd compartmentalized his mind until he held the grail. Today, I wonder, did Williams do that as well? Is that how he never let us down with everything that was happening in his life? I've heard the accolades and grieve for his family and friends. The stories of his generosity and his open heart are more profound than we ever knew. But if you haven't seen The Fisher King, do. Love Robin Williams and see into his mind. It helps with the grieving process. If that's too hard, What Dreams May Come could apply a more gentle salve. A re-imagining of Dante's Inferno, this lush story overwhelms its darker message and does ultimately give hope. I recommend both for the fan who has a nagging feeling of loss. Perhaps an American talk show host, Jimmy Fallon, said it best with "we will never see another of his like", and we won't. There are not words for the joy or pain we've experienced on the Robin Williams ride, but it was worth the price of the ticket. We've still got his body of work to share once our hearts heal, and through it, he will remain vital forever. 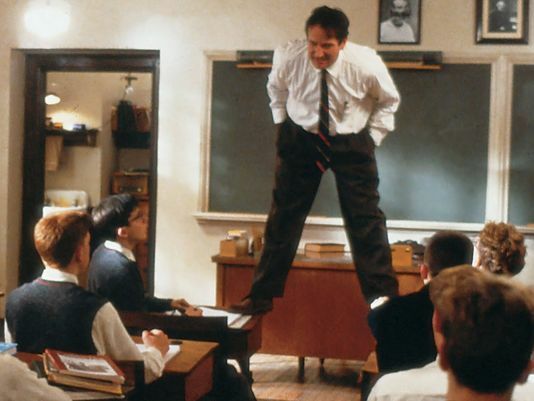 It's clear that Mr. Williams will always make us smile. I can't help but believe that's what he created for us. And when he no longer could, he didn't. We love him, but not nearly as much as he loved us. Risk-adverse, Stacy would not even enter the TARDIS in case it suddenly set to motion. Yet, gentle reader, she feels compelled to clarify that she writes opinion or editorial pieces. By using logic and reasoning, she always hopes to coherently provoke honest discourse.